Singer David Choi released the official music video for his song Missing Piece off his Forever and Ever album. In the video, actress Ellen Wong (Scott Pilgrim vs. The World and Home is Where the Hans Are) assembles a puzzle with none other than David Choi. After completing the puzzle, the wind blows and breaks the puzzle apart with the “puzzle” Ellen Wong and David Choi pieces separated from each other. Real life Ellen Choi comes back to put the puzzle together aagain. However, she can locate the piece that completes the puzzle. Inside the puzzle, Ellen Wong and David Choi can’t get together without the missing piece. Unable to locate the piece, real life Ellen Wong begins to draw in the missing piece. With the drawing complete, “puzzle” Ellen Wong and David Choi are able to connect in the drawing world. 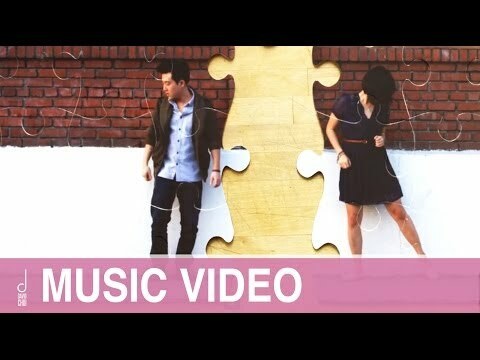 The video was directed by Ross Ching (Valentine by Kina Grannis, The Camel Song by Clara C, Without You, and Offbeat by Clara C.). You can download the single on or amazon. Listen to more David Choi : By My Side, Better You, Won’t Even Start, and That Girl. This entry was posted in music on February 27, 2012 by Kevin Hsieh - channel APA.